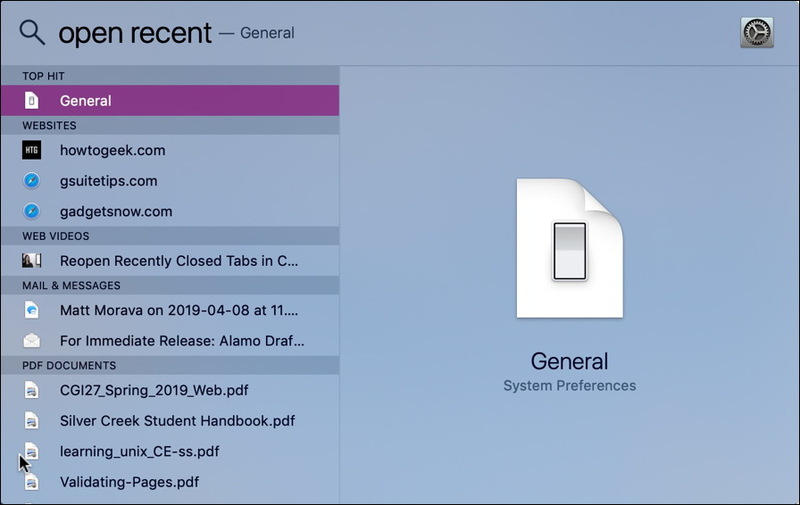 / How to Enable “Open Recent” for your Mac apps? 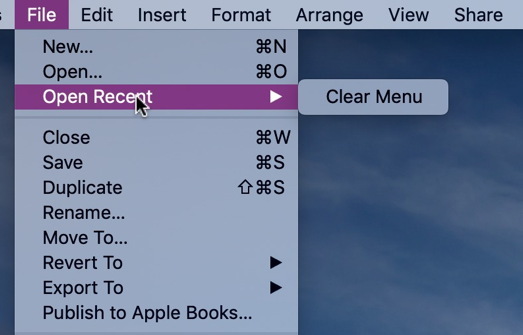 In one of the weirder user interface choices in all of MacOS X, it turns out that the setting for “open recent” is actually in a centralized spot in settings, not actually within an app’s settings (or just a default that makes it all work without you ever having to learn about it). The logic behind this particular choice is hard for me to fully understand but it’s one of those tweaks you can make to your Mac experience that are useful, but basically impossible to stumble across without a quick search or tutorial. The solution is to stop looking in the preferences and settings for Pages or Numbers, but to instead go to System Preferences. But let’s start at the beginning here, so I can document the problem, as well as the solution! Rather disappointing if you want to use this as a lazy way to re-open a recently edited file or document! So many choices! But… look near the bottom and you’ll see the setting: “Recent items:” and the current value: “None“. So that’s how you fix it up. 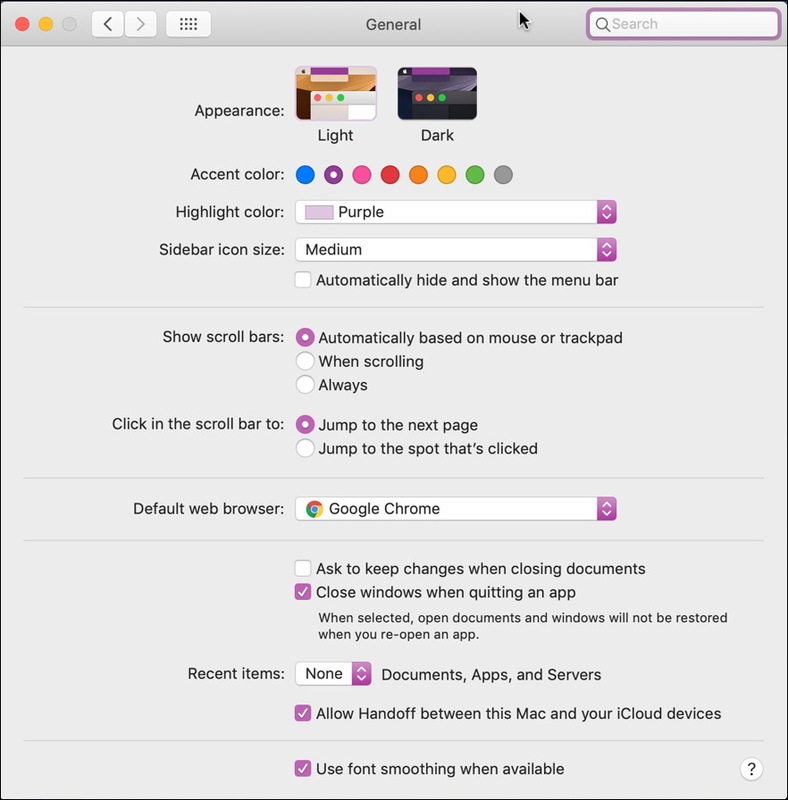 Why it’s in such an obscure location within System Preferences remains a bit of a puzzle, but at least now you know where it is and how to change it to meet your own preferences. Now, back to editing! Pro Tip: I’ve been writing about MacOS X since it was OS9, actually. Please check out my extensive collection of Mac help articles while you’re here!